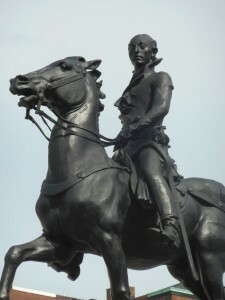 In 1780, an irrepressible young French nobleman and general, named Lafayette, convinced Louis XVI of France the time was right to support the foundering American Revolution. With a cargo of desperately needed supplies and 300 fighting men, Lafayette sailed to Boston aboard the swift frigate Hermione. More aid would soon come from the French in the way of war ships, material and manpower – leading to the ultimate defeat of the tenacious British army at Yorktown in 1781. 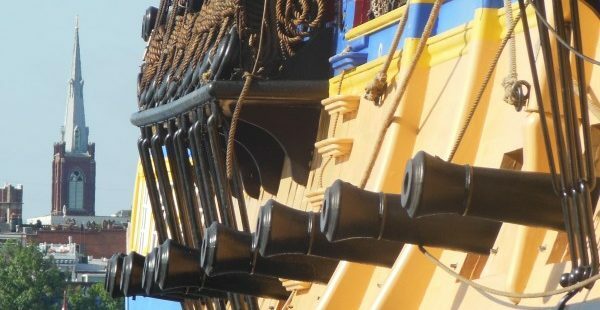 Some two hundred years after Hermione was run aground in 1793 and destroyed near Le Croisic on the west coast of France, an ambitious project was launched to construct a replica of the now immortal vessel. 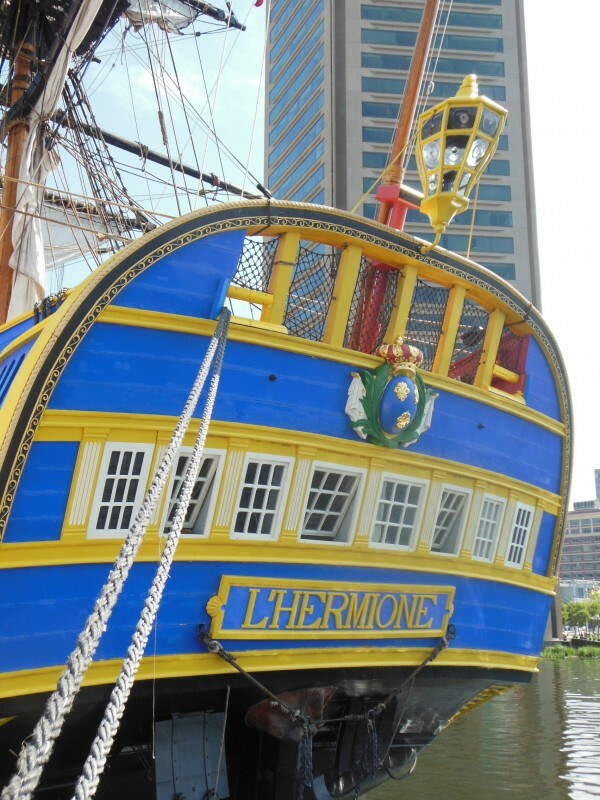 Completed in the summer of 2014, this stunning reproduction, also christened Hermione, was in Baltimore this past weekend, June 19 – 22, as part of a history-centric goodwill tour. 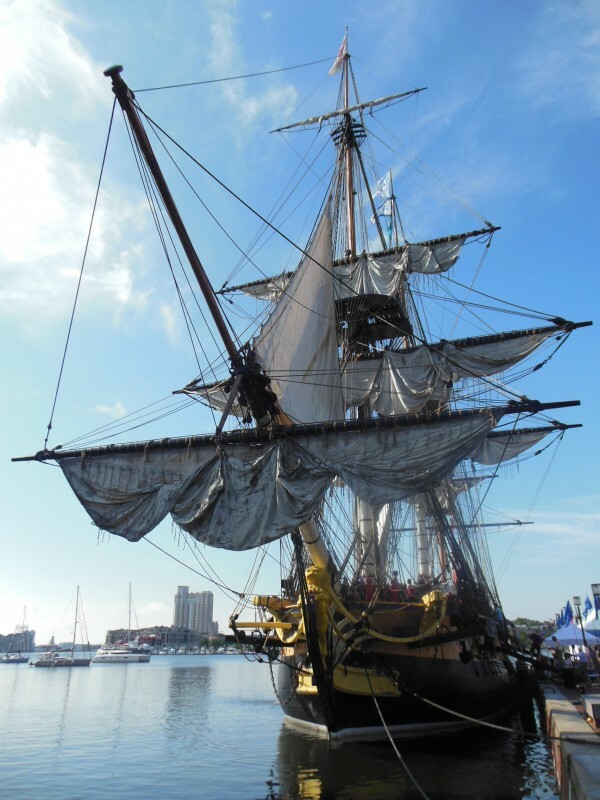 The tour, which began with a stop in Yorktown, Virginia, will be taking the ship to eleven different ports along the east coast; all associated with Lafayette and the original Hermione. 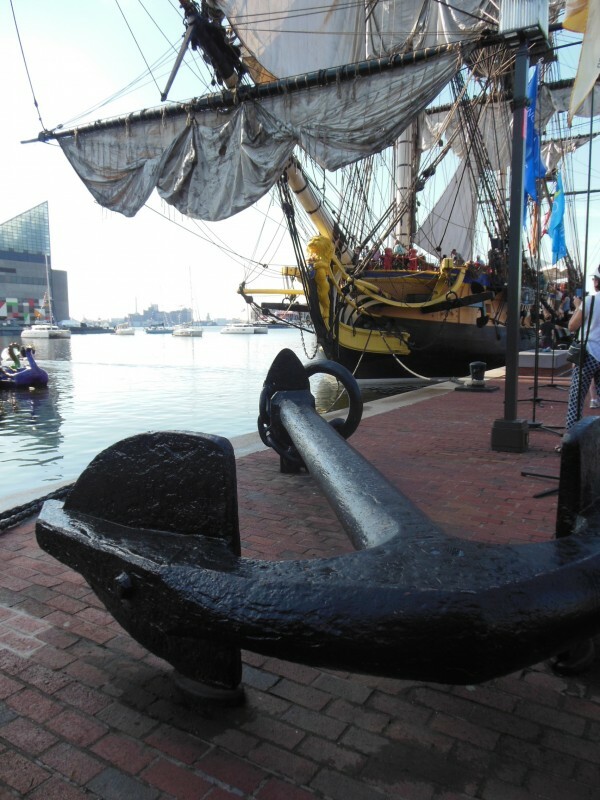 The Baltimore Post-Examiner stepped on board this magnificent tall ship on Sunday, and spoke briefly with three of the period-dressed volunteer sailors from the seventy-three member crew (one third women) who are presently calling L’Hermione their home. BPE: Please tell us about the ship and crew. 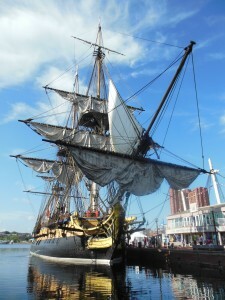 How did you come to be on L’Hermione? Alexis: We all come from different horizons. Some of us are more interested, for example, in the sailing project; some of us are more interested in the historical project. 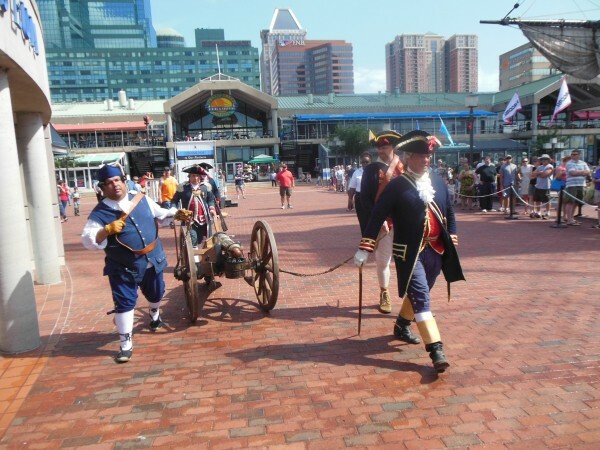 Myself, I was interested in the historical project as I’m a descendant of Lafayette. I’ve become interested in the sailing part of the travel; I want to see how the ports in America would welcome us and would be interested in this project. To be honest, it’s quite emotional to see how lively is his (Lafayette’s) memory; his remembrance here among the people. 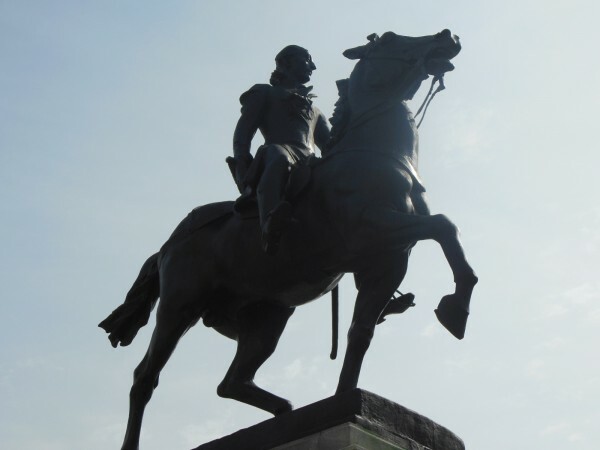 BPE: He was a hero to the Americans. 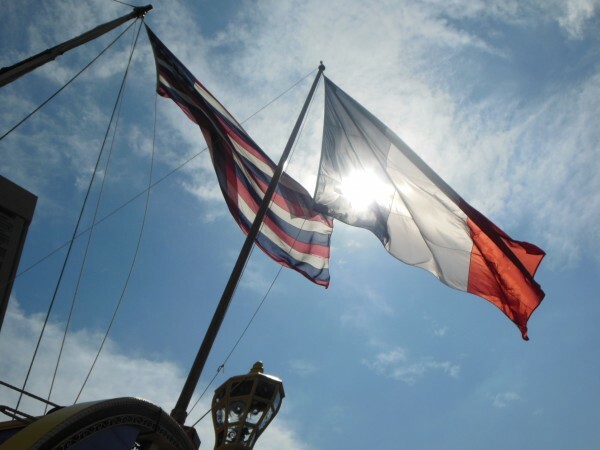 Alexis: Yes, and he is more well-considered in the U.S. than in France, because his role in American history is more – I don’t know a good word – is more pure, do you know what I mean? In France, he was sometimes rejected by the Republicans, sometimes rejected by the monarchists. He was trying to hold a well-balanced position, but it’s not easy in a troubled period, you know? This was during the French Revolution. Whereas, in the U.S., he had just a good role. I mean, he came as a young idealist, spending his own money to fight for freedom. He embodied, actually, purely the idea of liberty and of a foreign fighter who just came to seek nothing else than American freedom and American liberty. BPE: May I ask where you are from? Téva: From southwest France, La Roquefort, the town where the ship was built. BPE: How did you come to be associated with the project? Téva: I was a guide during the project, when they were doing the building. I would guide the tourists who came in to look at it, and showed them what the carpenters were doing. Then later, I spoke to the Captain about being a sailor. I had motivation to train to work on the masts. BPE: Were you one of the sailors who was up in the masts when we arrived earlier today? Téva: Yes. This morning, we had to go up to let the sails out, because it was raining last night. The sails have to dry. That’s why we were up there this morning. 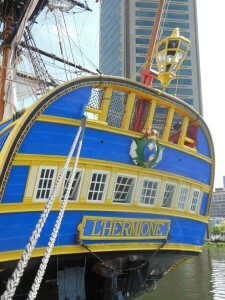 BPE: The ship took 17 years to build. How long have you worked on it? Téva: Five years; as a guide and now as a sailor. BPE: Is this your first trip to America? Téva: Yes, first time. It’s very, very nice. It’s good to be here, to see such a town. We don’t have towns like this in France. It’s good to be here to discover. BPE: What do you know of Lafayette? Téva: I know he came here a long time before to help the Americans to be independent from the English king at the end of the 18th century. 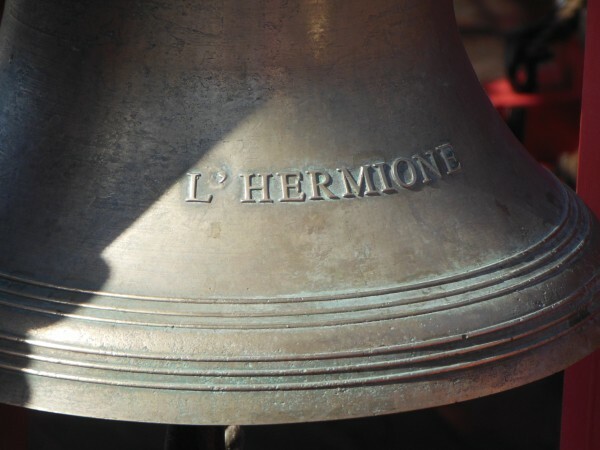 BPE: The original Hermione was built during the reign of Louis XVI. 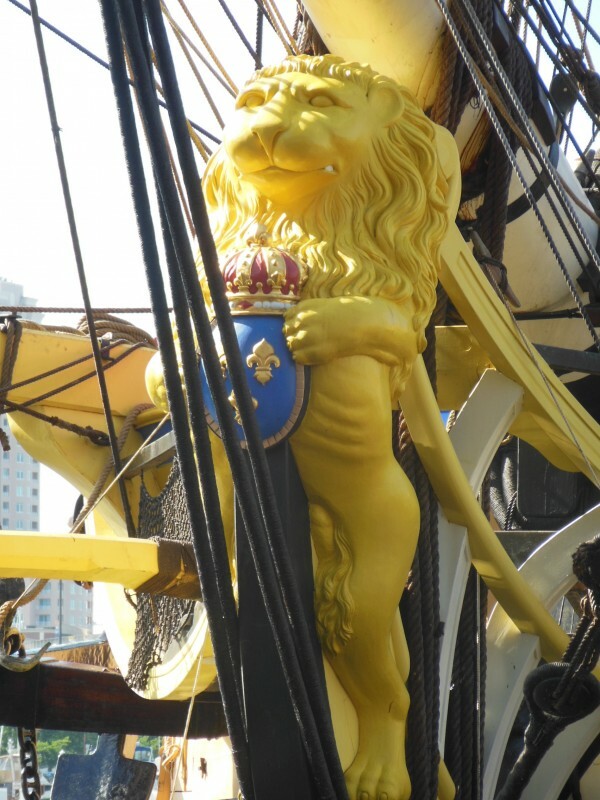 I know most everything on this ship is a replica, so I must ask why you fly the tri-color rather than the flag of Louis XVI? 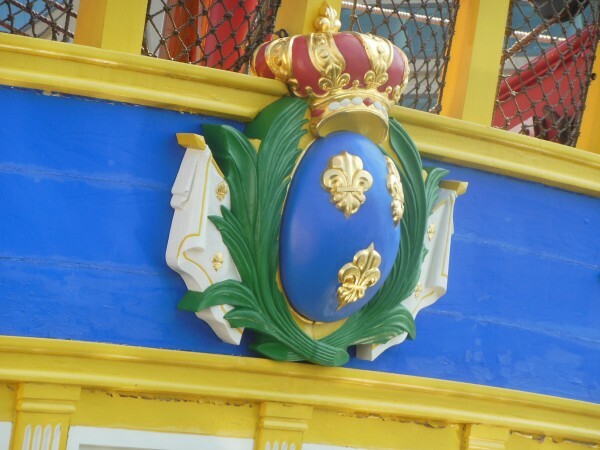 Téva: The flag of Louis was a white color with yellow fleur de lis. But today, we have to use the three colored flag. It’s definitely not the flag from the 18th century ship. BPE: May I ask where in France you are from? Manon: La Roche, close to where the ship was built. BPE: How did you become associated with the ship? Manon: I saw an announcement in the newspaper two years ago, so I sent out a resume and a letter explaining why I wanted to be here. Manon: Because it was – I have never sailed before I was on this ship – so it was totally new to me, and I wanted to discover that. 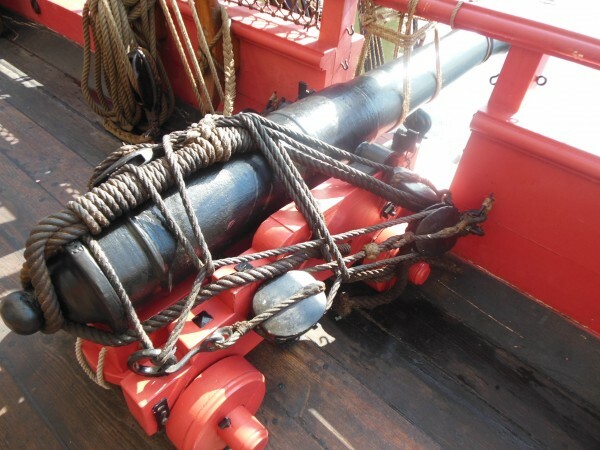 BPE: Is your interest in this project historical or is it more about ships? Manon: It was more historical at first, but now it’s more about meeting people and sharing the project with them. BPE: Is this your first chance to come to America? Manon: No, I have already been there once. BPE: What do you do on the ship? Manon: I work as a deck hand; we wash the ship, and I’ll work in the kitchen. 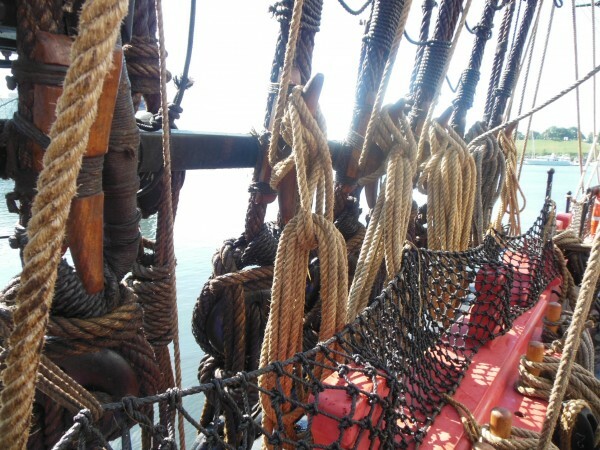 We take the ropes to put up the sails and that’s it. 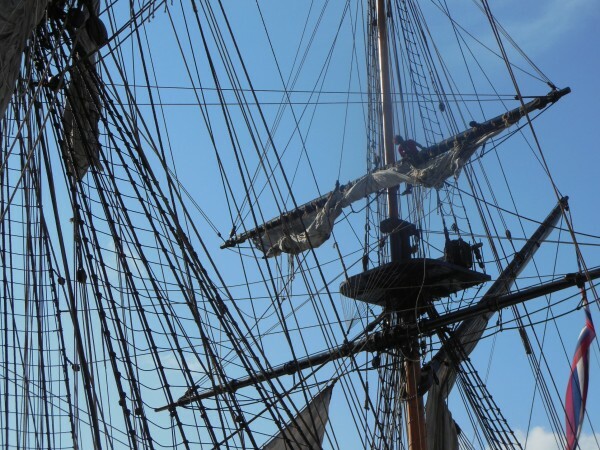 BPE: What has been your experience in sailing across the Atlantic on such a ship? Manon: It was great! It can be a bit repetitive sometimes, if I can say so, but it’s a great experience.